have a place of their own to establish networks of communication beneficial to all. 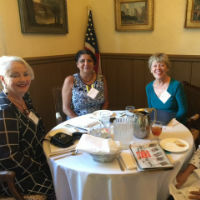 As a non-profit, mutual benefit organization, Santa Barbara Associates has put on events since 1981 to help promote and enhance the association of business professional women. 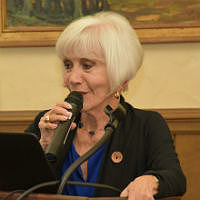 Santa Barbara Associates have been affiliated with the University Club of Santa Barbara since 1983. Membership is by invitation only and is limited to only 200 members. Thank you for visiting the Santa Barbara Associates website! We hope we are making the website much more user friendly and convenient for you to attend our events. Members are encouraged to nominate distinguished members (all of us) and send to me by email or regular mail by November 30. The idea for a networking group of women in top-level professional or entrepreneurial positions was first hatched in May 1980. 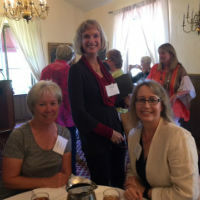 Several women were looking for an opportunity to meet other women in high-level positions from companies throughout the area and have the chance to gather in a social environment. The founding members included Eleanor Van Cott, Mindy Bingham and Barbara Greene. Over the following months, six more women joined the trio to clarify the concept of an organization that would provide a conduit for informal networking among business and professional women.